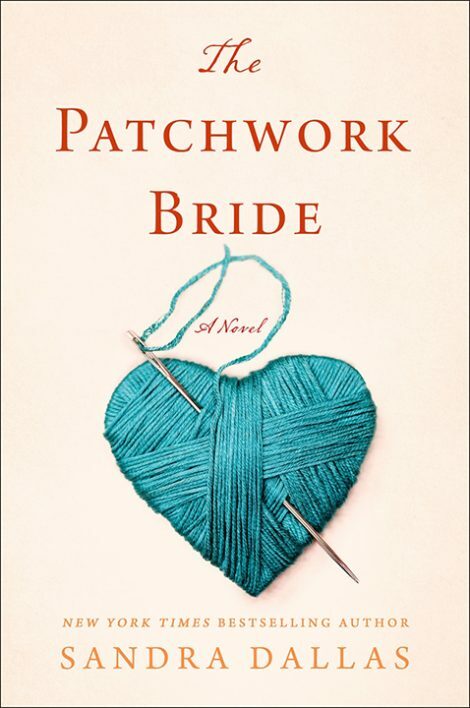 From Sandra Dallas, the best-selling author of A Quilt for Christmas, comes The Patchwork Bride, the irrepressible story of a runaway bride. 1. Over the course of the book, we see Nell grow and change with each chapter of her life. How did her experiences shape her outlook? What were the similarities and differences between Nell when we meet her at the Rockin’ A and how we see her in the present day (as Ellen)? 2. 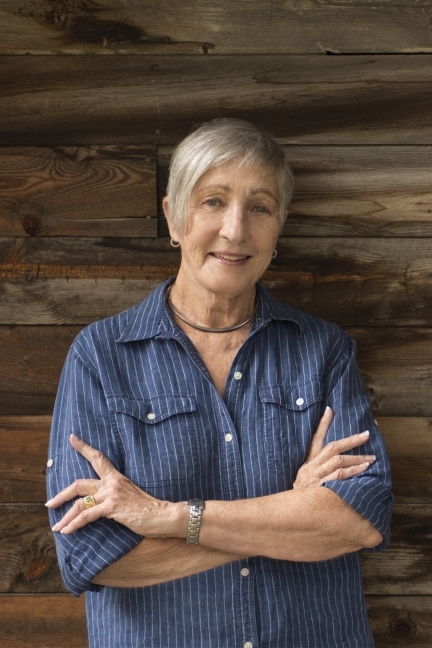 Sandra Dallas creates an authentic sense of place through her rich historical detail of the American West. How does setting play a role in this story? How did the time period influence Nell’s actions throughout the story? 3. Nell runs away from each of the three men she’s engaged to for various reasons. What are some of the characteristics that drew Nell to them? How are they similar? 4. More than just finding a husband to settle down with, Nell is looking to find true love—part of her hesitation about marrying Wade, though he’s a “good catch,” is that “she hadn’t felt a tug at her heart.” How do you define true love? Do you think Nell found it? 5. Were you surprised by June’s decision at the end of the book? What would you have done in her shoes? 6. Nell’s romances are a focal point of the book, but she also forms strong female friendships, particularly with Betty and Claire. What value does Nell gain from these relationships that differs from what her romantic relationships provide? 7. Betty, Claire, and Nell all experience or witness violence at the hands of a man. How do these experiences shape each of them and inform their perspectives on men and dating? 8. How did quilting serve as a connection between the generations of women in Ellen’s family? Would you ever consider “ruining” a wedding dress to make it into a quilt? Why or why not? 9. One of the qualities that draws Nell to James is his kindness to children—did you view this differently after his “secret” was revealed? How does it serve as foreshadowing? 10. What does Ellen’s reluctance to give up the ranch represent? How does it relate to Nell’s story? 11. When June comes to Ellen after running away from her fiancé, how does Ellen’s reaction compare with that of her own grandparents when she returned to Kansas after breaking off her engagements? How do their reactions reflect changing cultural values? “Did Buddy go after her? Nell had returned to her grandparents’ farm in Kansas, Ellen explained. The farm was home. She might have gone to a city, but she needed to be where she felt loved. And safe. Besides, Nell wasn’t so adventuresome anymore. She wanted to sleep in her own bed and wake up to the sounds of cows and chickens. She’d always loved chickens. Ellen paused and looked out at one of her own chickens that was pecking at the dirt. They wouldn’t have chickens if she and Ben moved into Durango. They’d have to eat store-bought eggs from the Piggly Wiggly and chickens that had been killed and plucked in a factory. They’d taste like cardboard. Damn supermarkets, she thought. Ellen moved her chair to get out of the sun. It was midday now, and the sky was cloudless, the sun very hot. An apartment wouldn’t have a porch, either. Where would she go to cool off from the summer heat? She’d probably have to depend on that wretched air conditioning people were starting to put in. You couldn’t even open the windows in some of those places. The veranda was one of the first things she and Ben had added to their honeymoon cabin. Except in the winter, they sat there almost every evening, looking out at the stars. Ben would talk about cattle prices, ask her opinion on improvements, because their marriage had always been a partnership. Sometimes they didn’t agree, and they’d argue, argue loud enough that Maria would come outside and shush them. But sooner or later, one of them would give in, and there would be peace. Ellen almost missed those fights, the times she’d win Ben over to her way of thinking or Ben would convince her he was right. They would make up and know that they really did beat with one heart. When the children were young, they played on the porch, galloping back and forth on stick horses, and when they were older, they honed their roping skills on chairs and tables. The veranda was their rumpus room. The children did their homework there, too. Ellen remembered how John had filled out his college application forms at a table on the porch. She had been sitting there when he came in from the mailbox one afternoon with a letter saying he’d been accepted at Harvard. Although the nights were cold now, Ellen and Ben still sat on the veranda after dinner, watching the sunset streak the sky with violent swaths of purple and orange and pink. Ben would remember times long past, and they’d call each other by pet names they hadn’t used in years. Sometimes they didn’t need to talk. They just sat and held hands. “Buddy and Nell might have worked things out, I suppose, but they were both too stubborn,” Ellen continued, setting her sewing on the table. She had stitched while she told the story—intricate embroidery stitches that covered the seams between the patches of fabric. “Oh, no, she was much worse.” Ellen smiled, as she ran her hand over a patch from a silk gown, a wedding dress that had been in the family. Maybe she shouldn’t have cut it up, but some of the silk was split. The top was shredded, and only part of the skirt was any good. What was the point of keeping it? A second chicken came along, and the women watched as the two chickens fought over a worn. They squawked. The first chicken triumphed, and the other walked away. “No,” Ellen said, shaking her head. “After Nell was home, she realized it was over. There had been too many hurtful words. Once she was back in Kansas, Nell knew she’d never marry Buddy after what they’d said to each other. She wouldn’t be happy with someone who felt he had the right to tell her what to do,” Ellen said. He hadn’t, because he didn’t know where she’d gone, Ellen said. Lucy might have told him, but she died not long after Nell left, kicked in the head by a horse. Nell might have gone back to the funeral, but it was a long time before she learned what had happened to her aunt, and by then, it was too late. “Do you think Nell was really independent? Oh, she moved out west to live on a ranch in New Mexico, but she was after a husband. That was the main reason she went there. And that was why she moved on later.” Ellen twisted her embroidery thread to make a French knot. Just then, the screen banged, and Maria came out and asked if they wanted their dinner on the porch. “Well . . .” Maria crossed herself. “Your grandfather doesn’t understand when I tell him I’m supposed to stay off horses.” Just the day before, Ben had saddled Ellen’s mare and shown up at the kitchen door with the horse. When Ellen told him she wasn’t supposed to ride, he looked as hurt as if she’d slapped him in the face. He said he wanted to ride out to the creek, and there wasn’t anybody else to go with him. Lord, June had thought, she couldn’t let him go alone. He’d have ridden into the next county, and she never would have found him. Ellen shrugged. “Somebody has to look after him.” They’d had a nice time, too. Ellen had asked Maria to fix a picnic, and they’d spread an old quilt on the ground under a cottonwood and eaten the lunch. Then Ben had napped on the quilt, his hat over his face, while Ellen took off her boots and put her toes into the cold water. It was as nice an outing as they’d had in a long time. When Buddy woke up, he thought for a moment it was fifty years earlier, not long after they moved to the ranch. They had made love in that very spot. He seemed to remember and reached for her hand, and they had sat holding hands until suppertime. Maria feared that Ellen had been bucked off her horse and Ben had wandered away to get help. She was ready to send Wesley to search for them when they finally showed up. “Can’t Maria take over some of your work?” June asked. “She already has, but there’s just so much she can do. She can barely read and write.” There was no way the housekeeper could keep books and fill out government forms. After all the years she’d lived with them, Maria didn’t know a thing about beef except how to cook it. “What about Wesley?” June asked. June held the door, and the two of them followed Maria into the big kitchen. It was Ellen’s favorite room in the sprawling ranch house. The man from Sears, Roebuck who designed kitchens had drawn up a plan with metal cupboards and a linoleum floor. It looked like something from a woman’s magazine, not like a real ranch kitchen. Ellen had thrown away the drawing and hired a carpenter to make big wooden cupboards. She’d put in a countertop of bright Mexican tiles, some of them broken now, and a wood floor that had been worn down over the years by hundreds, maybe thousands of boots. There was a pantry with bins that held hundred-pound sacks of flour and sugar, a freezer big enough to accommodate an entire beef or maybe two, a stove with six burners—and a dishwasher. The heart of the kitchen was the scrub-top wooden table that could seat a dozen, and during roundup, there were often that many men gathered around it. Ellen had found the table at a ranch sale. Then she’d picked up old pressed-wood chairs that nobody wanted anymore. They were sturdy enough that a man could lean back in one until it rested on two legs and not fall over. Maria went to the stove and stirred a big pot of chili with a long wooden spoon. She tasted it and nodded her satisfaction. “It’s not too hot for you,” she said. Maria waved away the insult as she dished up bowls of meat and beans and sprinkled cheese on top. She wrapped hot tortillas in a towel, then set everything on a tray. “Will Grandpa Ben be back in time to eat with us?” June asked. “He won’t be back till late afternoon. I imagine he’ll have his dinner in Durango. He should be home by suppertime.” Ellen hoped so, at any rate. Ben was liable to start jawing with the vet about horses and bulls that were long dead and lose track of the time. He could be stubborn when Wesley insisted he get back into the truck. “Who works for who?” he’d asked more than once. That was why Ellen generally took her husband into town on errands. She could argue him down. “I’m no older than you,” Ellen replied, although Maria was twenty-five years younger. Still, she let Maria carry the tray. The doctor had told her not to lift heavy things. She smiled at the housekeeper, who had been with her for more than twenty years. No, Ellen agreed that it wouldn’t be right. She remembered a neighbor who had found Mexicans hiding in one of his sheds and had driven them out with a pitchfork. Ellen was sure it would be a lot longer. Ben was softhearted. He’d never been able to shoot a horse with a broken leg, and one of the hands had had to do it for him. He was always bringing home stray puppies and kittens. Maria and her son were more than homeless animals. So Ellen and Ben made the two feel at home, and before long, Ellen knew they would be a part of the ranch as long as they wanted to. Two years ago, the boy had been drafted into the army, but he’d promised to come back when he was mustered out and work as a cowhand. At least he would if Ben and Ellen still owned the ranch. Ellen wondered what Maria would do if they sold the place. They wouldn’t have room for a cook and housekeeper in an apartment. And what about Wesley and Durrell, the other cowboy, who’d been with them for decades? They were getting along in years, too, and with mechanization, there wasn’t so much employment for ranch hands, not the way it used to be when cowboys drifted from ranch to ranch, always looking for better jobs. Where would Wesley and Durrell go? June and her grandmother followed the cook outside. As Maria set the food on the table, June snatched away the quilt. “Just what we need, spilling chili on this.” She brushed yellow cottonwood leaves off a chair and set Ellen’s stitching on it. “I wonder if Nell ever forgot Buddy,” June said after Maria went inside. Ellen shook her head. “I wouldn’t think so. You never forget first love.” She glanced at her granddaughter, who was looking off toward the barn, thinking. “Not exactly. She left him for an entirely different reason. And it didn’t have a thing to do with stubbornness.